Thank you for stopping by on About Page of Myfilletknife! 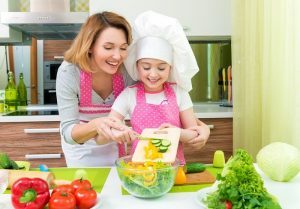 At myfilletknife.com, we are dedicated helping you find the ideal kitchen products helpful tips that gives you the most comfort and matches your lifestyle. Many people are interested to develop cooking as a personal hobby. However, most of them are not fully equipped with the knowledge on how to cook properly. This is the main reason why I have decided to create a blog about food. I am extremely passionate about sharing my tips and tricks on this platform. My cooking blog will talk about various food-related topics and recipes. My name is Patricia and I am a mother of two lovely girls who are always excited to try my new recipes. I am thirty years old and I have a 9 to 5 job which I truly enjoy. However, in my spare time, I make sure to develop my knowledge about cooking. I love everything related to food such as preparation, choosing ingredients and experimenting with various types of cuisines. My ultimate goal for my cooking blog is to help other food enthusiasts discover the best methods of cooking and learn about new and exciting recipes. I am deeply committed to making sure that everyone who reads my blog will learn something relevant related to cooking. I am dedicated to sharing my love for food to other people who have the same passion. Food brings us closer to one another so it should always be prepared using only the best methods. My Fillet Knife is the ultimate cooking blog for your learning and entertainment. If you have any comments or suggestions regarding how I can improve my cooking blog, feel free to send me a message. I am open to any feedback from my readers since I want to make sure that you’re satisfied with my blog posts. I am committed to providing the proper education regarding food and cooking to anyone who’s interested. Therefore, please don’t hesitate to leave your feedback.